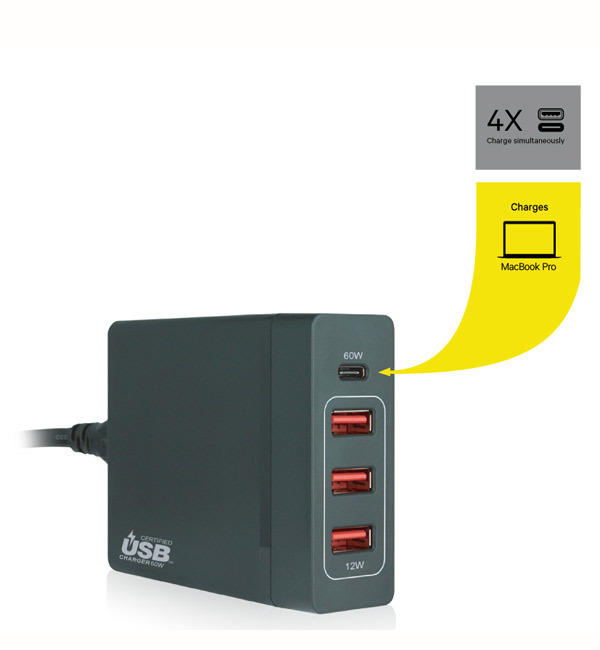 This powerful USB--IF certified charger has (1) 60W USB-C port and (3) USB ports so you can charge multiple devices using only one outlet. 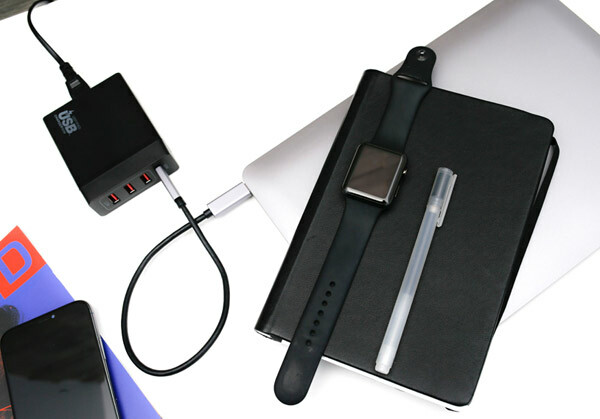 Powerful enough to charge almost every USB-C laptop at full speed, this handy adapter is ideal for replacing your current charger. Whether you’re catching a flight or taking it to the office, it’s portable, lightweight design can go anywhere you need it to. 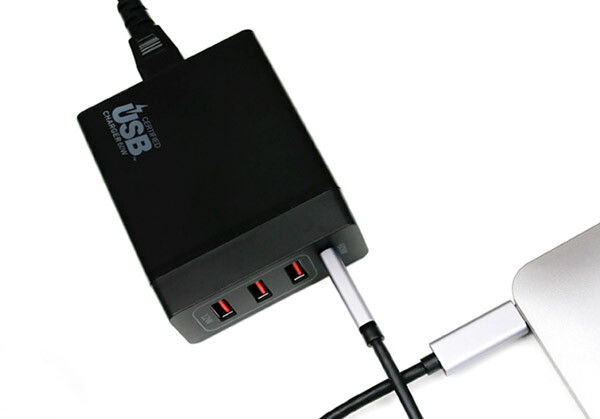 No need to search for multiple outlets, this convenient charger can easily power all your devices in one place. Ideal for use with iPhone 8 or later to take advantage of their Fast Charging feature. The GoPower USB-C Wall Charger with Power Delivery features overcurrent and circuit protection to ensure that your devices are protected while charging.